Sometimes being a “plein air” outdoor artist doesn’t work out too well. Deb Baughman, Alliance Art Gallery’s featured artist for April 2019, admits. “At one event,” she ruefully recalls, I knocked over the easel and the painting went face down in the dirt.” If that wasn’t bad enough, she later laid the frame flat on the ground and sand blew over her art, basically ruining it. Growing up without any school art classes, everyone in her family seemed talented in drawing or music. In college, she got a teaching degree that focused more on teaching than actual studio art. After teaching art for 33 years, Baughman didn’t find free time for her own explorations of watercolor and oil until she retired. She is drawn to industrial scenes. A train engine. A silo. A barn. Living in a town of 250 with fields all around, she often paints the barn across the way, often with sheep or cattle grazing. 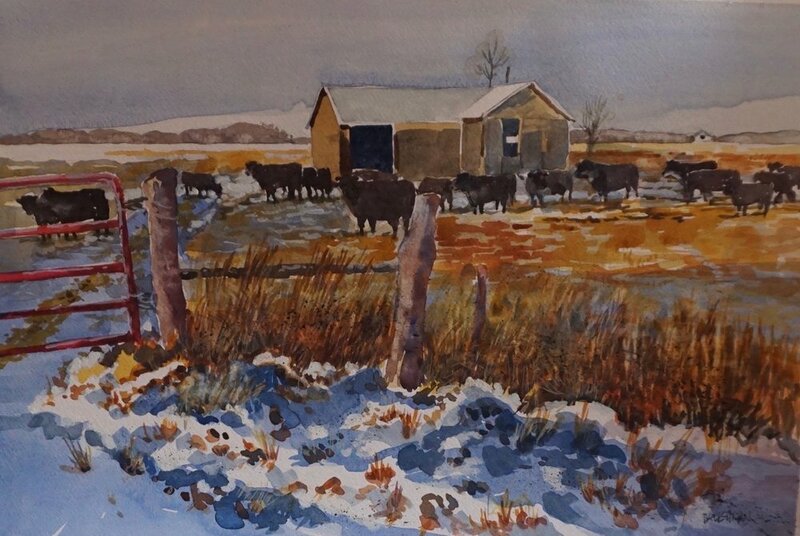 Whether using watercolor or oil, her work portrays Midwest industrial and rural warmth, a sense of home. “I think people need to look at things they do not think are artistic. There might be something there … if you look again. 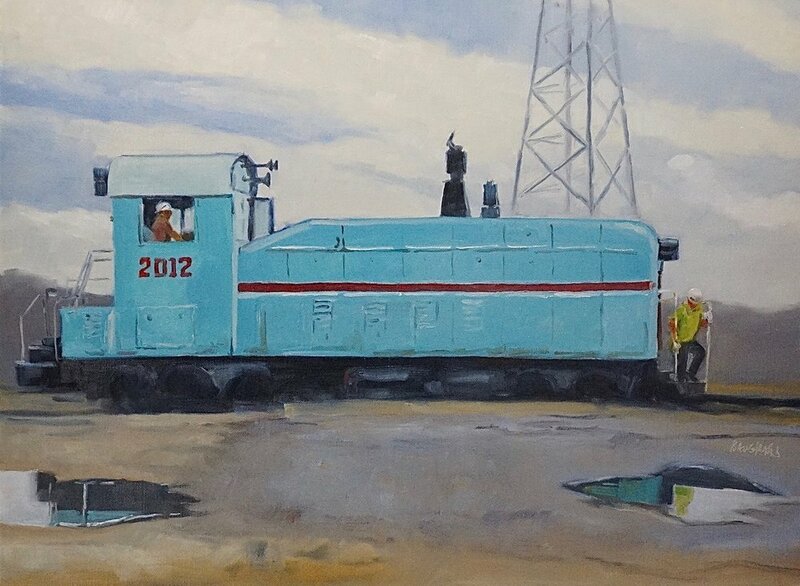 An opening reception will be held on Saturday April 13 from 5 until 8:00 pm.